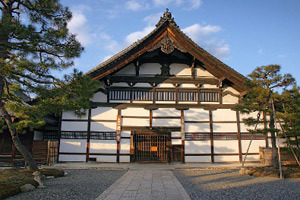 Kodaiji was established in 1606 by Nene, the widow of the great general Toyotomi Hideyoshi, as a shrine for her late husband. 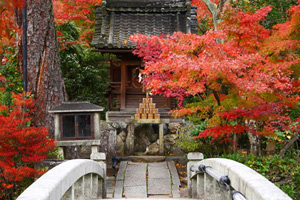 Kodaiji belongs to the Rinzai sect of Zen Buddhism, and is well-known for its rock garden and its autumn leaves. 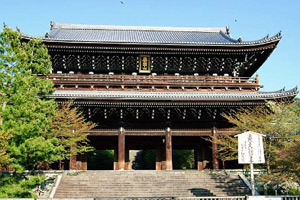 Founded in 984 by Kaisan, this temple of the Tendai is more commonly known as the Shinnyo-dō. 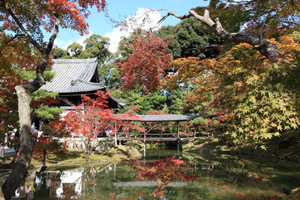 The powerful Mitsui family of industrialists has sponsored the temple since the 18th century, and many of its members are buried here. 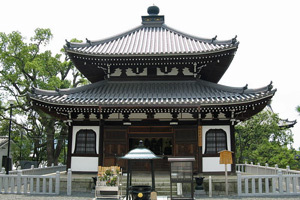 Also known as Kurodani-san (Mt Black Valley), Konkai-Komyoji is one of the head temples of the Pure Land sect of Buddhism, along with Chion-in. 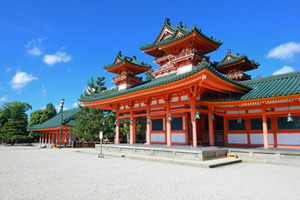 The vast precincts boast an impressive three-storied gate (San-mon) and an extensive main hall. 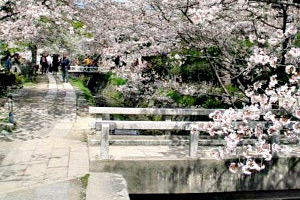 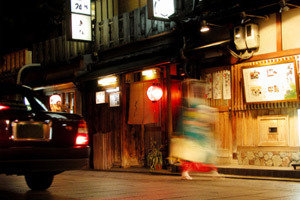 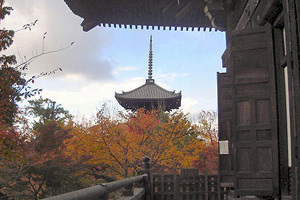 Hokoji was founded in 1586 by Toyotomi Hideyoshi, who wanted to endow Kyoto with Daibutsu temple surpassing that of Nara. 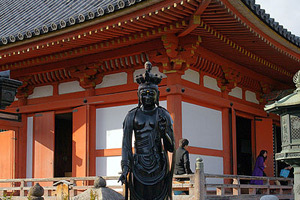 Completed in 1589, the Giant Buddha statue and its hall were regrettably destroyed by an earthquake in 1596. 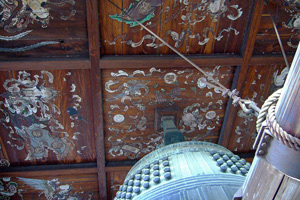 The temple fatefully burnt in 1602 during reconstruction, and in 1610 great bells were cast with the bronze of the destroyed Giant Buddha. 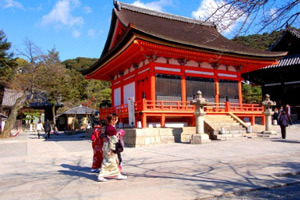 A Shingon temple founded by Kūya in 951, Rokuharamitsuji houses a number of statues of the Heian and Kamakura periods that have been designated Important Cultural Properties, including a Heian-era Jūichimen Kannon, which was designated a National Treasure. 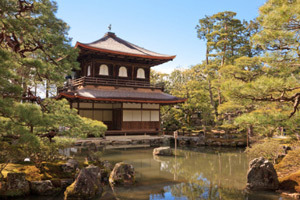 Established in 1897, the Kyoto National Museum is one of the three former Imperial museums in Japan, and the most important museum in the city today. 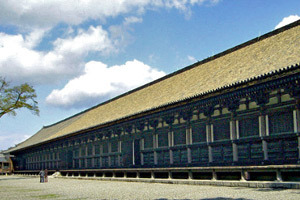 The permanent collection (closed for renovation until 2013) displays art treasures privately owned by temples and shrines, as well as items donated by the Imperial Household Ministry. 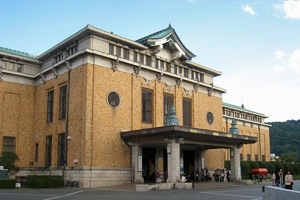 Altogether, the museum houses over 12,000 works, half of which are on display. 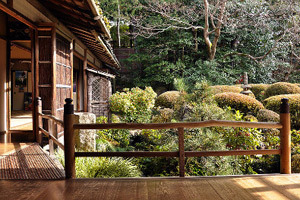 230 items were designated National Treasures or Important Cultural Properties. 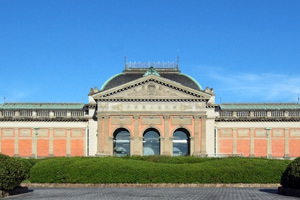 This wide-ranging art museum was inaugurated in 1933 in commemoration of Emperor Hirohito's ascend to the throne, and was originally named 'Showa Imperial Coronation Art Museum of Kyoto'. 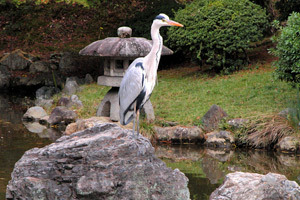 Exhibits include Japanese works from the Heian period to modern times, with a particular focus on modern and contemporary art. 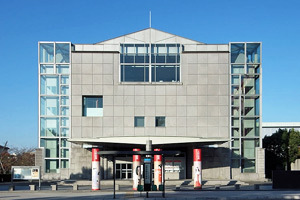 There are also large sections on Western art and temporary exhibitions. 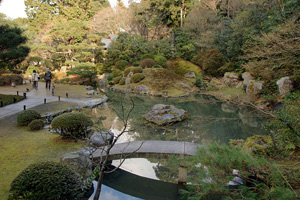 Known in English as the MoMAK (National Museum of Modern Art, Kyoto), the museum is devoted to 20th century Japanese art, including Japanese-style paintings of the Kyoto School. 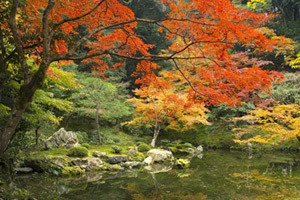 Exhibits from the permanent collection change every two months.